Earlier this week songstress and my tea drinking buddy in my head Erykah Badu, released a mixtape titled Feel better World, Love Ms. Badu a collection of tunes to help us self care as we go through this racially tensed period of time. All over the globe…Keep walking tall brothers and sisters," she wrote on her Mixcloud page. "Someday we will all be free. The world is in need of healing… I carefully and lovingly selected high frequency tones for the soul… Please listen from top to bottom. Love, Ms. Badu." 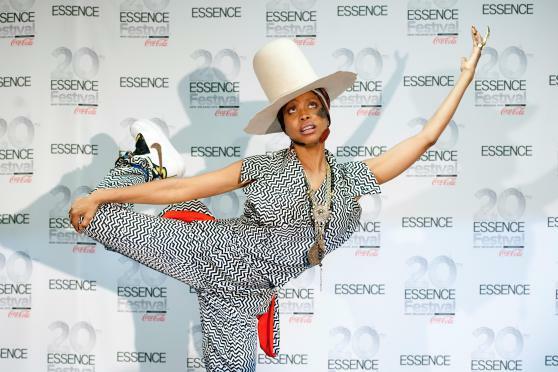 Thank you Ms. Badu I am sure this is something we all will be listening to all summer! The one hour and 23 minute collection features uplifting songs from both herself and classic artists like James Brown, Eddie Kendricks and Earth, Wind & Fire. Check out the mixtape and leave us a comment telling us what you think of Ms. Badu's latest project. What Erykah Badu song soothes your soul? Let us know in the comments.